A love for learning and a passion for engaging students is at the heart of every amazing educator. Todayâ€™s rockstar radiates this daily in her pursuit for continuous growth and commitment to giving students the best learning opportunities. 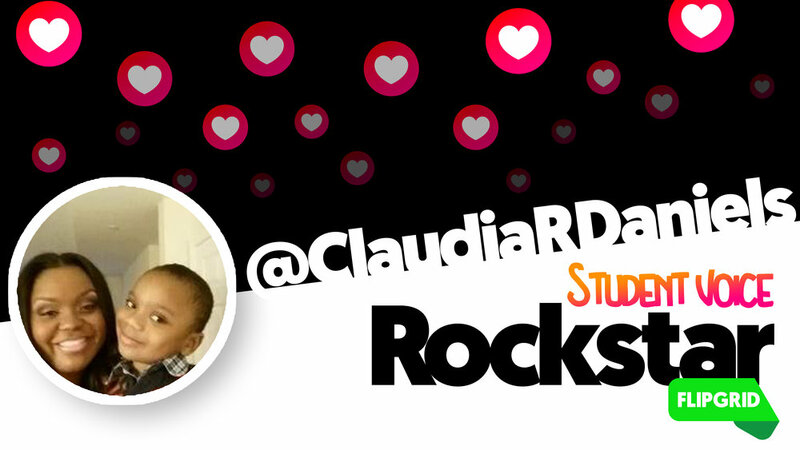 Student Voice Rockstar Claudia Daniels, a 5th grade teacher from Marietta, Georgia has been rocking out Flipgrid for over a year and a half! â€œMultifacetedâ€� is the first word that comes to Claudiaâ€™s mind when she thinks of Flipgrid. ðŸ’¥I have quiet students who come alive on Flipgrid and share their thinking in ways that others (teachers, parents and other students) have never seen. ðŸ’¥Difficult content doesnâ€™t seem as difficult when Ss know Flipgrid will be a part of the learning experience. ðŸ’¥We had 3 award-winning authors respond to our Flipgrid, either directly on the grid on by way of Twitter after seeing our Book Recommendations. ðŸ’¥The fact that I can archive the grids for a later date helps me move quicker through expectations because I have several mentor examples. ðŸ’¥Readers are able to connect and provide recommendations and students can access the grid for content, recommendations or to create. Just get in and play with Flipgrid, follow #FlipgridFever on Twitter and just do it! â€œTrust me, the kids will love it and they are cognitively present.â€� I love helping my colleagues who stop by my room to learn about Flipgrid and often just talk through the process over the phone if my colleagues need me, itâ€™s that simple.